​Fall Formation for All Ages takes place on Sundays at 9am! This is a change from recent practice at St. Thomas’. Our desire is to allow everyone from both services on Sunday to gather for formation. This has the added benefit of leaving the Coffee Hour after the 10.00 service to be a more purely social event. 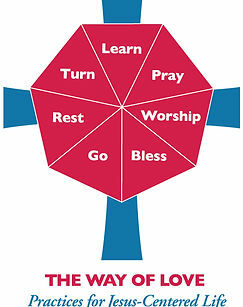 Christian formation is the lifelong process of growing in our relationship with God, self, others, and all creation. Every experience in our lives can provide us with the opportunity to express our faith; the challenge we face is recognizing these opportunities and learning ways to live a sometimes counter-cultural life in a secular world. Drawing on arguments from evolutionary psychology, game theory, history, philosophy, ethics and theology, Sacks shows how a tendency to violence can subvert even the most compassionate of religions. 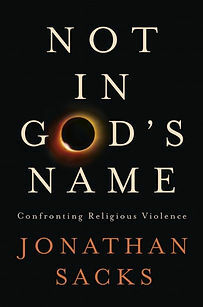 Through a close reading of key biblical texts at the heart of the Abrahamic faiths, Sacks then challenges those who claim that religion is intrinsically a cause of violence, and argues that theology must become part of the solution if it is not to remain at the heart of the problem. Buy the book and join our study! ​These two series for adults will be offered simultaneously every Sunday at 9am! “Formation” is the process of making Christian disciples. Sunday School (for all ages) is a piece of that process.